The father of the Australian aircraft industry whose pioneering approach left a legacy still seen in the skies has been inducted into the 2015 Queensland Business Leaders Hall of Fame. Townsville-born Sir Lawrence Wackett has been honoured for his significant contribution to the aviation industry in Australia. Now in its seventh year, the Queensland Business Leaders Hall of Fame is a joint initiative between QUT Business School, State Library of Queensland and the Queensland Library Foundation. It celebrates those organisations and individuals who have enhanced the state's reputation and economy. Sir Lawrence Wackett and five other Queensland business leaders from past and present were inducted into the Hall of Fame by The Honourable Quentin Bryce AD CVO during a black-tie gala event at the Brisbane Convention & Exhibition Centre last night (THURSDAY JULY 30). After starting his education at Mundingburra Primary School, Sir Lawrence entered the Royal Military College at Duntroon and, with the outbreak of World War I, his class graduated early, in 1915. He was posted to Egypt aged 20 and flew on various missions including air-to-air combat. In 1918, Sir Lawrence and another crew member carried out a dangerous mission photographing German operations behind enemy lines. Their plane was riddled with 80 bullet holes and Sir Lawrence's "conspicuous gallantry" was recognised with the Distinguished Flying Cross (DFC). After the War, Sir Lawrence was one of 21 officers appointed to the Royal Australian Air Force, where he qualified as an aeronautical engineer and began designing and constructing, as well as flying, aircraft. 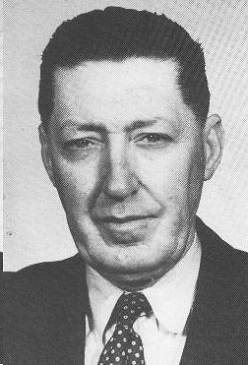 His visionary leadership saw him appointed general manager and chief designer of the Commonwealth Aircraft Corporation (CAC) and, in just three years, he built it into a major enterprise employing 10,000 staff. The CAC produced more than 1700 planes under Sir Lawrence's guidance, providing vital production and maintenance to the Australian and American air forces during World War II. Sir Lawrence was instrumental in the design of the nearly 450 Wackett trainers (named after him) and Boomerang fighters used during the War, and helped produce other aircraft including the Woomera bomber, RAAF Mustang and CAC Sabre (the first aircraft in Australia to break the sound barrier). Sir Lawrence, who died in 1982, was knighted for his services to aviation in 1954. 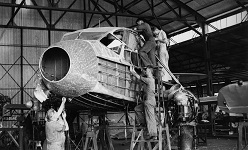 Roger Perkins, Sir Lawrence's grandson, said during the Second World War his grandfather had passionately presided over Australia's fledgling aircraft manufacturing industry and been integral in its rapid growth. "Sir Lawrence was one of the towering figures of the aircraft industry in Australia. He was extraordinarily innovative, he was extraordinarily intelligent and he set the pattern for the future of manufacturing in this country," he said. "He was a fervent supporter of the manufacturing industry in Australia and, during a time of global conflict, he believed strongly that we should be able to protect ourselves with our own designs and construction of equipment." QUT Deputy Vice-Chancellor Professor Peter Little said Sir Lawrence's bravery and forward-thinking had sparked a revolution in Australian manufacturing. "Not only was he a war hero, but Sir Lawrence inspired the aviation industry as a designer, inventor and insightful manager," he said. "His legacy is still felt in the industry today and his service to his state and country will forever be remembered." State Librarian Janette Wright said the Queensland Business Leaders Hall of Fame ensured the businesses and individuals who had played vital roles in the state's business landscape would be recognised and remembered. Innovative aviator Sir Lawrence Wackett.